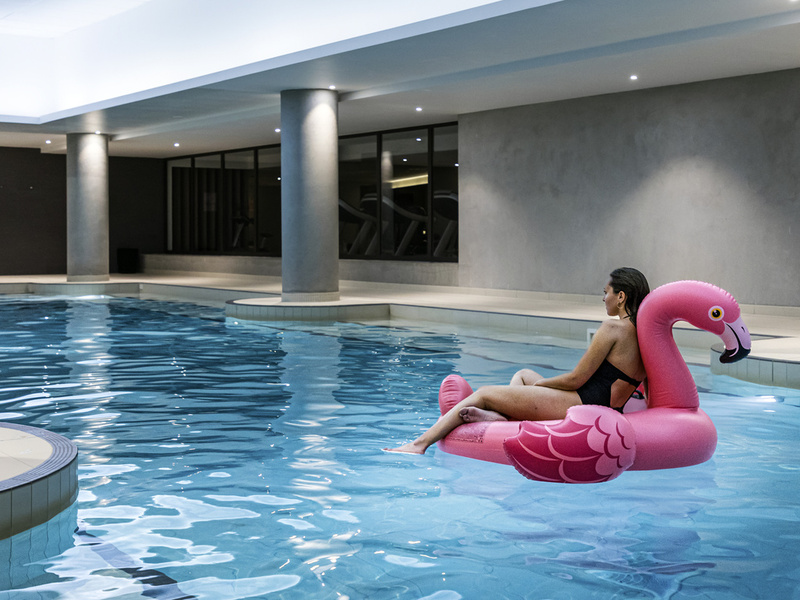 Make the most of the Pullman Paris Roissy CDG Airport hotel's excellent location: Visit the Eiffel Tower and the Château de Chantilly, head to Parc Astérix or Disneyland Paris, hit the shops or catch a movie at Aéroville. The terminal is right next to the hotel and offers direct connections to Paris, the Villepinte exhibition center and Le Bourget. The team has always been pleasant with us, and this trip has been no exception. We use the bar, pool and breakfast facility and have a pleasant break before or after our plane trips. I like the overall atmosphere. Mostly OK, but a couple issues. Hotel was nice and staff mostly helpful. There were 2 issues that bothered me. First, the AC in our room didn't seem to work very well. This wouldn't be an issue except for the fact that a heavy down comforter with duvet was on the bed. I called and asked for lighter weight blanket and was advised there were none. The entire point of booking a hotel was to get a good night's sleep which was prevented by the heavy winter bedding. The AC which seemed to work to a point would switch off, preventing us from cooling the room to a point we could sleep with the heavy bedding. The only other annoyance was the room layout. The toilet is located in a separate room, not near the wash basin. So in the middle of the night after using the toilet you have to go to the main restroom to wash your hands. Even worse, there is no door on the wash room, so if you turn on the light it shines on the person sleeping. Plus, the pack of door made using the shower difficult as I was rooming with my 15 year old son, neither of us were comfortable using the shower open to the room. I noticed that there was once a pocket door, but it had been removed. Still too good to change to another hotel. I stay every week in your hotel. Due to the change in restaurant policy and cleanliness of the room I feel that my experience is decreasing. The menu of the restaurant and bar is constantly decreasing in options and the prices are increasing a lot. The healthy green bowl salad f.e. has the size of a starter where more than 50% of the items disappeared but the price is still 22 euro's. I am vegan. The first night of my stay I ordered the gealthy salad bowl, which I gad many times before. I asked for bread and shared I was quite hungry due to long traveling hours. The salad that was delivered was small and without avocado. The bread was apoarently toasted but must have been much earlier as it was so hard I coukd not bite it. Very disappointed. I frequently use the Pullman for my business stays in Paris CDG as I need a relaxing home for a night or two once a month. Its the little attention to details like the dual type plugs in the room. I often forget the EU plug , There are a UK and EU plugs in my room. The staff are excellent , check in and out super fast , I am able to wonder around the lobby area and the staff will make sure I am looked after for food and drinks. The Pullman is the best part of my business trip. Well done to you all. My husband Juan Carlos and I enjoyed our short stay at the Pullman Paris Roissy - CDG Airport hotel. The staff was all wonderful, and of special note is the Lady, Beatriz, who checked us into the hotel. She was professional and gracious, and we also had a great bartender. Very good - AS usual! Thanks for a good stay (again) However I’ve not received my Club Accor points for the stay, could you please check this? It was 28-29 March 2019, Hans K. A.
I really enjoyed the friendly ambience of the hotel and its staff. Everything was clean and the noise was to a minimum. Facilities were top. With the exception of the evening restaurant service, we were very pleased. With the significant exception noted above, our visit was perfect from our receptionist, Clea, to our checkout. Apart form the rooms that we really 4 star standard, clean and well equipped, the rest was disappointing. The service especially in the restaurant was of very low quality. Servers congregate around the bar and service is very slow. 20 minutes to get one glass of wine. I was also annoyed when a server approached me in the lobby to ask me to sign my bill when I had already done it. The breakfast was extremely poor for this hotel category. Food items running out and low quality food. Jessica at the front desk insisted I give her my email address for the bill (which I still have not received) while the next day her counterpart gave me a paper bill. I have been to multiple hotels in CDG and Pullman is the worst. Even the Ibis style next door is better with regards to the price. Sorry to say this but it seems that this is a hotel run by amateurs!